So you know social media? That thing the average person spends 116 minutes on daily. Well I bet you didn’t realize that you could use it for something more productive then checking out your high school ex-boyfriend’s relationship status. In fact, as social media continues to boom in popularity, its only continues to grow in terms of its value to the consumer. So it’s not surprise that social media has become a treasure trove of available jobs. And it makes sense. When brands consider the person they are looking to hire, they want someone who is actively engaged with them and their products so who better to reach out to first then their ‘fans’. Still skeptical? 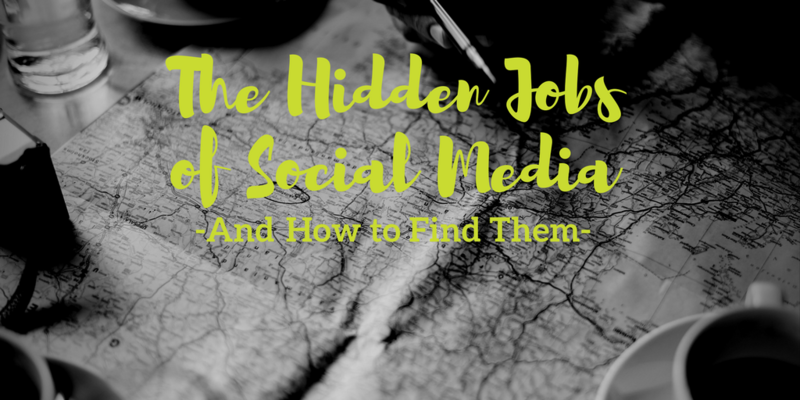 Well let me give you the treasure map to the hidden jobs of social media! On of Facebook’s strongest suits is that it allows someone to create micro or niche communities within their larger social network. For whatever you desired career path is there is inevitably multiple groups for that field. One you’re in, feel free to ask for career advice, share your resume for feedback or ask if anyone’s hiring. Undoubtedly, you’ll see some folks posting open positions before you can even ask. Just be sure to clean up your profile before delving into the world of Facebook job hunting. Especially with Instagram’s algorithm update which moved away from chronological posts to most relevant, while companies are quick to post pictures highlighting internal culture and hiring you might miss them. To avoid this from happening, pick out someone of favorite brands and set yourself up to get notification alerts every time they post so you never miss anything or opportunity! The place where the pound sign became a hashtag. And that symbol is the key to a strong job search via Twitter. Just hashtag, job title and then job (e.g. #projectmanagementjob). Don’t forget to consider different variations of that hashtag i.e. #projectmanagementjobs #pmjobs #pmjob. Even searching local jobs if you’re open to a variety of positions such has #STLjobs or #stlouisjobs will lead you far beyond Google’s reaches. If you are looking for a job be sure to check out our Muse profile because #herewegrowagain!